The 4th World Congress on Agroforestry will bring delegates and world-known keynote speakers from all over the world in a major event designed to address a wide range of key agroforestry research issues. It will gather facts and figures from developing and developed countries and support a collaborative effort with broad social participation. Special attention will be given to vulnerable countries and populations. The overall objective of the Congress is to contribute to the strengthening of agroforestry science and practice in order to provide opportunities for strengthening links between science, society and policy and to bridge the science-policy gap. 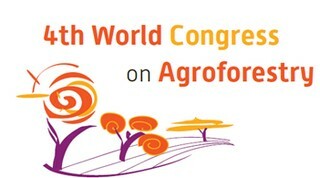 CIRAD and INRA are delighted to welcome you to the Fourth World Congress on Agroforestry. The Congress is organized with Agropolis International and Montpellier University of Excellence. Congresses take place every five years. The Montpellier congress follows earlier congresses in the USA, Kenya and India.